Make this great pillow made from toweling. You will learn the basics of tracing, fusing, cutting and machine stitching down a beautiful design. 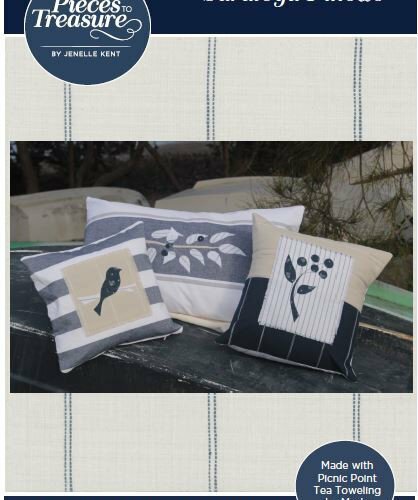 Pillow is made with tea toweling and kit can be purchased at shop. Price includes hands on instruction. Kit must be purchased in shop and is additional cost.